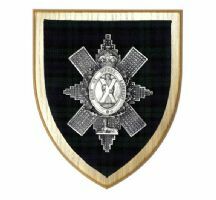 An inspiring Tayforth UOTC Wall Plaque that has been hand-made with pride in Scotland for a long lasting military wall plaque. 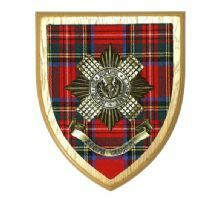 This wonderful military wall plaque features an expertly crafted Tayforth UOTC cap badge in striking metallic colour, which has been set against a tartan background, sitting on a solid light wooden plaque. 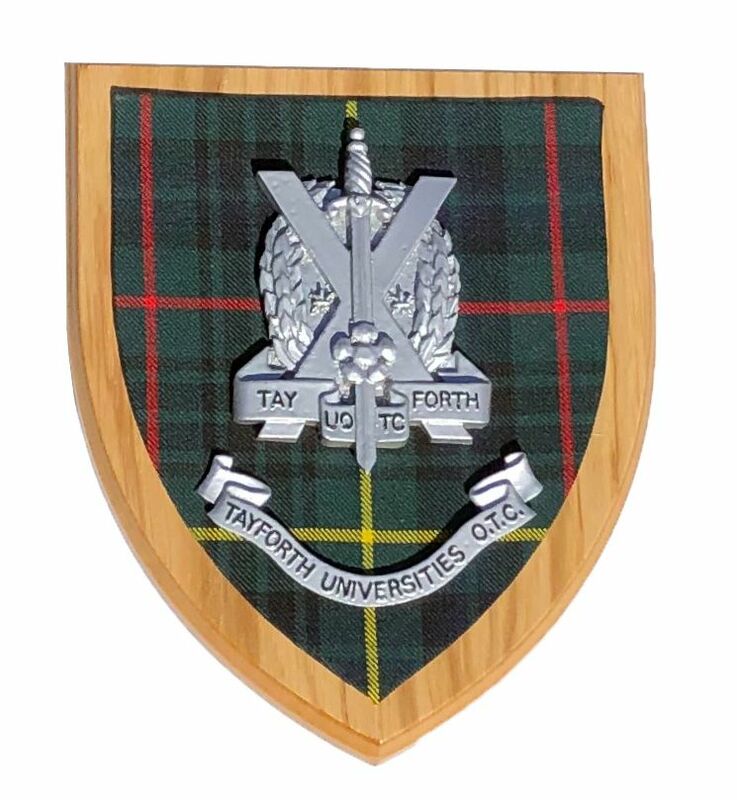 An amazing gift idea, this high quality handmade Tayforth Universities (St Andrews, Dundee, Abertay, and Stirling Universities) Officers' Training Corps military wall plaque is ready to hang and take pride of place in your home. 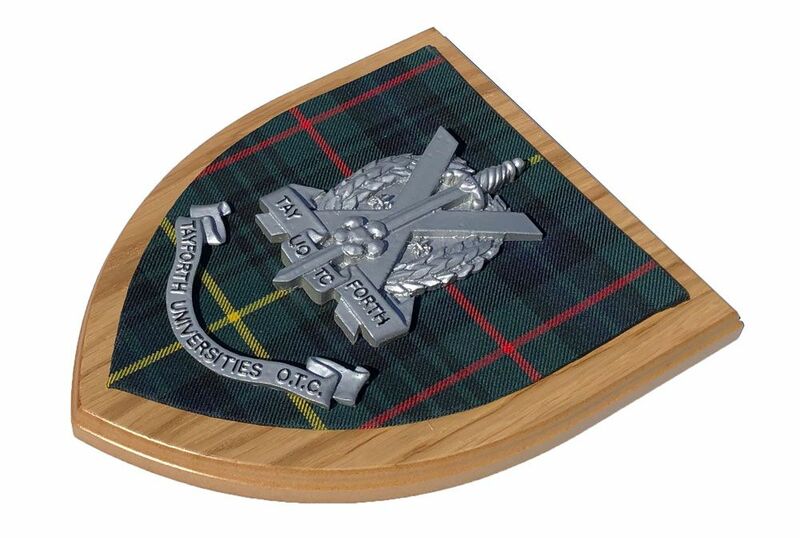 This piece is ideal for any military collector. Handcrafted to order in Scotland - Please allow 7 days for dispatch.